Protect your valuables from view with this Genuine Hyundai cargo screen. Spring loaded for ease of use. Fits in the factory holes on your trim panels. 2018 Model shown. Actual item may very from picture. 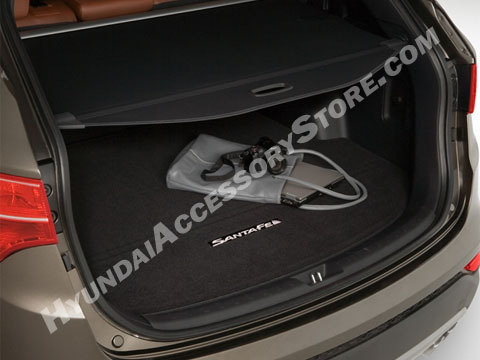 I recently purchased the 2019 Santa Fe but the dealer did not have the cargo screen available. They offered to order it which would take up to 4 weeks. I found it on HyundaiAccessoryStore for $40 less than the dealer price and was able to get it within days.